The mission has been “Building Balanced Leaders for the World’s Communities” since 2001. The previous mission allowed the Fraternity to build a range of local and national programs to allow men to enhance leadership abilities and forge a strong brotherhood. Going forward, we will continue to refine and improve these leader-oriented programs while we focus on the holistic elements of balance that create a man’s best life as leader, brother, husband, father, mentor, community servant, and citizen. 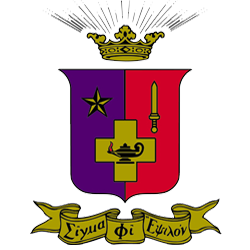 With an estimated quarter million members, SigEps live, serve and work around the globe. They are having significant impact in business, government, community service and academia. Our mission is carried out through chapters and by cultivating the connections alumni have with one another. SigEp utilizes the Balanced Man Program (BMP) as opposed to a pledge system. This program is focused on continual, holistic member development that promotes balanced living and combats destructive behavior. New members have equal rights and full membership upon joining. The BMP offers an experience focused on scholarship, leadership, professional development and life skills. Oregon Alpha is designated as a Residential Learning Community (RLC) for their efforts to work with faculty members to create a unique academic program for their brothers. SigEp typically has at least 10 brothers serving in various positions on ASOSU Won 8 consecutive Kerr cups, which are awarded annually to the most outstanding IFC Fraternity at Oregon State University SigEp at Oregon State currently holds the most Buchanan cups out of every SigEp chapter in the nation. This award is given out to the top 10% of SigEp fraternities every two years. One all-house philanthropy each term. Our largest, SigEp Sweethearts, is held during winter term and raises about $10,000 annually.